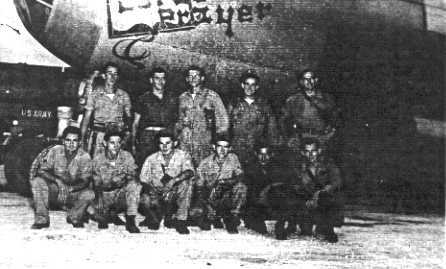 1st Lt Edward S. Edmundson, Jr.
1st Lt Herman C. Marthaler, Jr.
30 Sept 2014: Added Robert E. Laird to Crew Honor Roll; Bob was last member of his crew we had contact with. Bob had said he believed he was last living member of this crew. 6 Nov 2013: Added Stanley L. Phillips to the Crew Honor Roll. 29 Oct 2013: Added Alphonse J. Baldi to the Crew Honor Roll. 16 July 2010: Added Herman C. Marthaler, Jr. to the Crew's Honor Roll. 11 April 2010: Added Brown, De Corte & Free to Crew Honor Roll based on information found in the Social Security Death Index (SSDI) database. 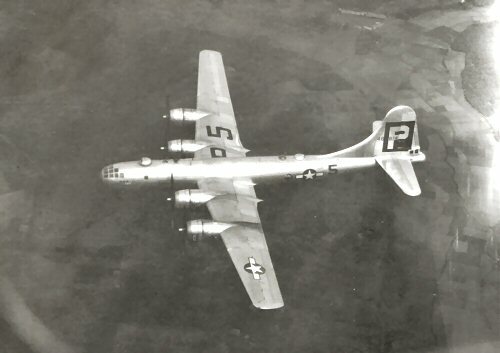 I received a photo of B-29 # 44-69914 being loaded with supplies from Steve Pace. On the nose wheel cover are the names of the ground crew. Sources: Michael Revock, Al Baldi, Ed Edmundson "Bud" Alger, Bob Laird & "Maximum Effort"
for the book "History of the 39th Bomb Group"